Is stress taking over your life? It’s November! For many Americans the mere mention of this month induces excitement and anticipation of the upcoming holidays, events and treats, good food, family time, football and perhaps, vacation. It also is often the most stressful time of the year. Common holiday stressors include emotional triggers like: increased expenses and higher credit card debt, time management and travel during the busiest time of the year, extended family time with your favorite and not so favorite relatives, or perhaps for others, absent loved ones. Increased work related stress often compounds holiday stressors. For those businesses that experience an increase in work level and demand this time of year, the stress that accompanies it is often heightened by the inevitable reduction in support, as employees begin taking holiday time off to celebrate with their families. 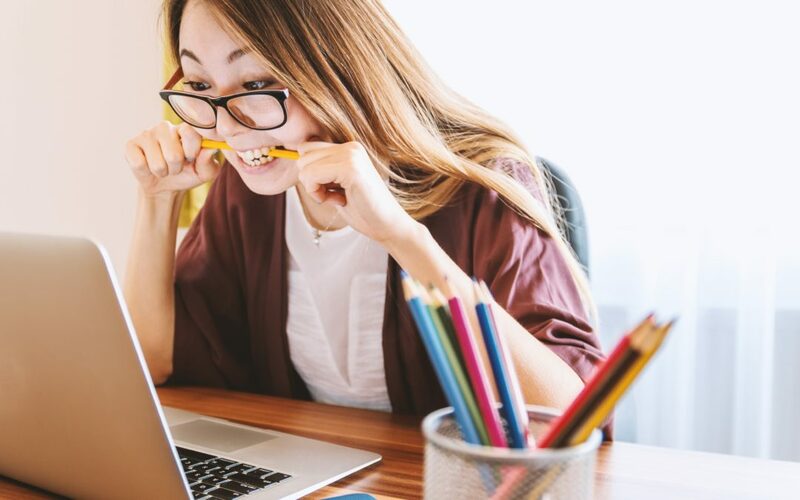 Some people may experience stress due to year-end additional work requirements or feel anxious about catching up at work after an extended vacation. 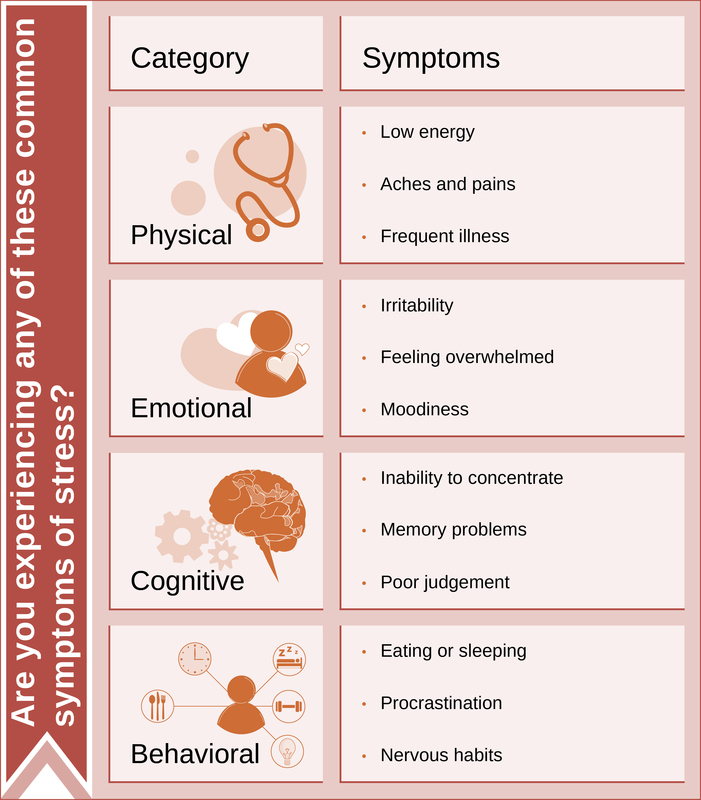 These concerns, as well as others, can all compound to impact the effects that stressors have on individuals. The impact of stress on employees cost US organizations $300 billion in lost productivity and medical expenses each year. In 2018 the “Stress in America” study reveals that Gen Z and Millennials are far more stressed about these issues than older generations. Younger Americans, in general, report higher levels of mental health issues than older Americans. This same study indicated that most US adults (64%) believe that they do not do enough to manage their stress levels. The most common sources of stress cited are related to work and money. Excessive stress can impact how you feel and function. We conducted a survey last month to find what the main causes of stress are in the workplace and what our respondents do to relieve that stress. 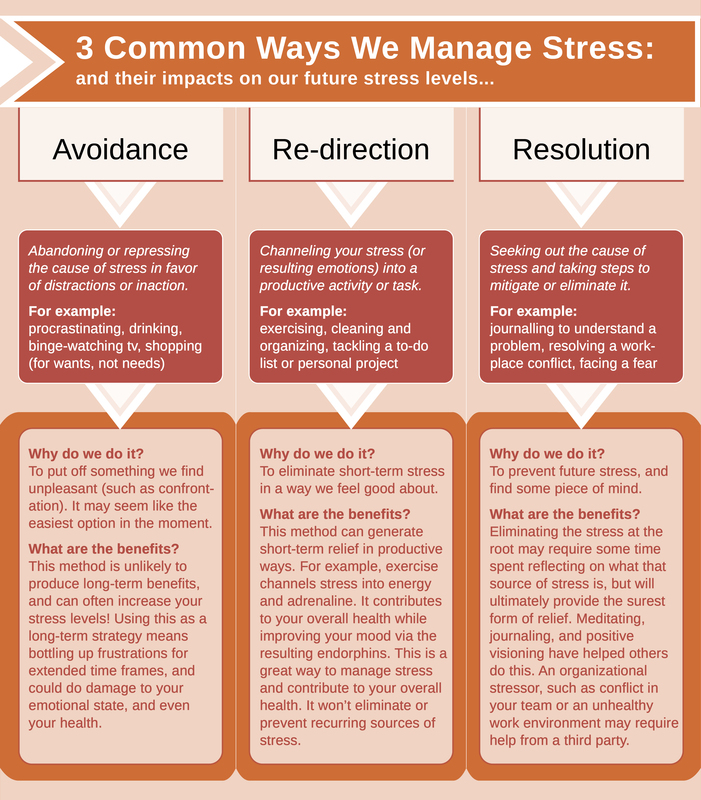 The chart below provides a summary of our research along with some of our own insights about the resulting effects of three different approaches to stress management. When seeking ways to mitigate stress, it is important to find the methods and outlets that uniquely work for you. Avoidance can provide short term relief but can also enable unhealthy habits that can have negative long-term effects on our health and well-being. What are competencies and why should you care? Business Best Sellers – Why Are They All About People? Talent Assessments – a Job Seeker’s Goldmine?